A decadent old-world bistro in a historic CBD building. A decadent spot deserves a decadent bar to match — or a couple. 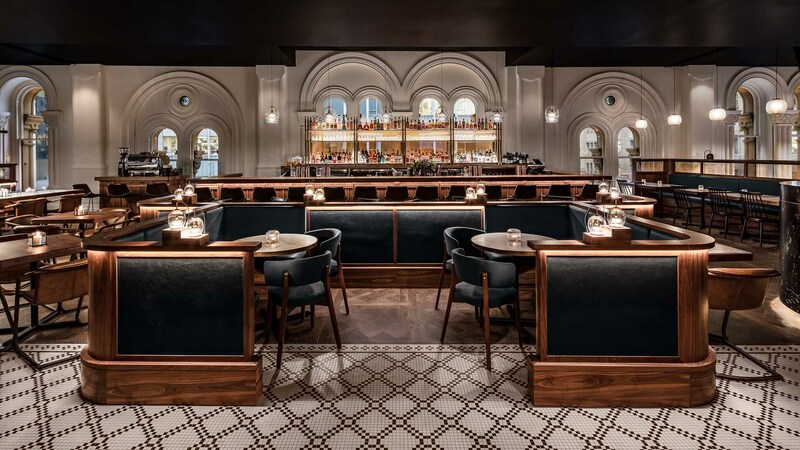 That's the case at Sydney's 120-year-old Queen Victoria Building, which has taken things up a notch with with the launch of not one, but two new luxurious bars. When you're not sipping Champagne at Reign at the QVB, you can combine beverages with a meal at bar-restaurant Esquire Drink + Dine. Open late every night, Esquire is the place to head if you're looking for more of a sit-down meal. The opulent level-one venue takes its cues from the supper clubs of New York, with an old-world fit-out of oak, leather and parquetry flooring. It's a moody, dapper backdrop for settling in with a fittingly expansive offering of whisky, cocktails and wine. From the kitchen comes a sophisticated spread of reimagined comfort food. Think gruyere-stuffed jaffles with fries and a pork jowl schnitzel sided with mustard, radish and burnt lemon. You can also choose from four cuts of steak and a whole roast chicken for two, which is used across two courses. Both Esquire and Reign are overseen by a team of hospitality guns, including Matthew Beaumont as Group General Manager of Beverage (The Star, Merivale), Damien Worthington (QT Hotels, The Winery) in the role of Executive Chef and Fabio Nistrio (Sokyo at The Star, Bambini Trust Restaurant & Wine Room) heading up the tightly curated drinks program. 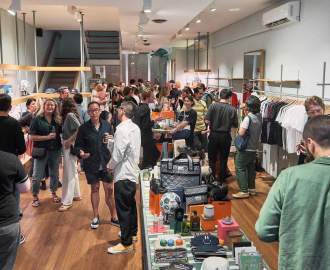 Esquire is open from 11am each day, surely to cater to post-shopping snacks and business lunches. And as far as kicking on late, it's open for eats and drinks right up until 2am Thursday through Sunday.